All the animals listed on this page are not under the management of the BBNA Adoption and Rescue programme. BBNA is only providing an advertising service to the rescue/welfare organisations such as the RSPCA or owners. Approval is required to be listed on this page. If you are interested in any of the Basenjis here then please followup with the contact details advertised with each dog to discuss and followup. 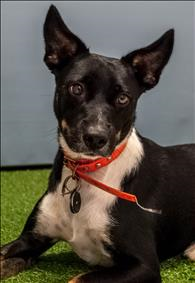 I am an energetic young boy who can be unsure of new people and things so my new home will need to be calm and offer me structure and routine to help me to settle in. I am best suited to a mature home with little foot traffic and my new owner will need to introduce me to new places and things slowly. I will require quality physical exercise and mental stimulation daily. Once I get used to you I am a loving boy who bonds well and will enjoy sitting on your lap! BBNA takes no responsibility for any adoption/rescue arrangements or issues arising from adoptions listed here.